Maybe best skillshot and dangerous champion Yi Sun-shin, Spirit of Navy! 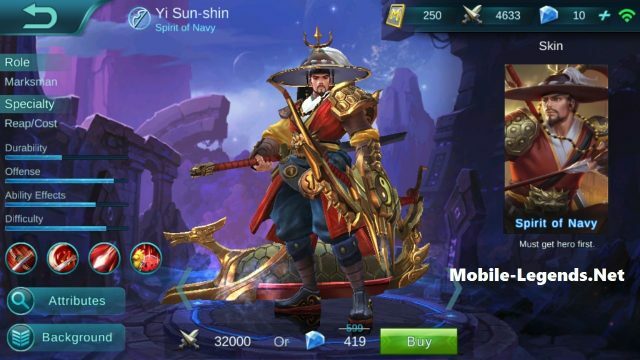 You can learn basically detail about Yi Sun-shin from this post. A famous General! 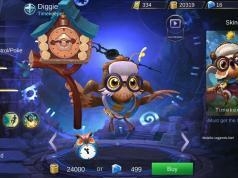 Hero is difficult you should learn him passive skills and mechanics, which items can buy for Yi Sun-shin or how to play Yi Sun-shin, search at Mobile-Legends.Net, there is a tips and tricks for him. Passive: Heavenly Vow, Yi chooses his longbow or glaive to attack according to his distance from the target. Using skills or the glaive to attack will impose the bleeding effect on the enemies, injuring them (dealing true damage to moving enemies) and slowing them down. A naval fleet will be summoned to the allied base and strengthen it. The hero can board the turtle ship beside the base periodically and get buffs. Skill 1: One-wave Sweep, Wields the glaive and slashes forwards while jumping backwards, dealing 160/190/220/250/280/310 pts of physical damage to enemies along the way and lowering their movement speed by 40%/40%/40%/40%/40%/40%, lasting 2/2/2/2/2/2s. When Yi is on the Turtle Ship, the ship will dash towards the target, dealing 200/235/270/305/340/375 pts of physical damage to the first enemy it collides with and other nearby enemies, stunning them for 1.5/1.5/1.5/1.5/1.5/1.5s. Skill 2: Blood Floods, Shoots a piercing arrow with full strength, dealing 240/265/290/315/340/365 pts of physical damage to enemies. The arrow’s attack range will enlarge with the time of powering up. Fully powered-up arrow will impose two layers of bleeding effect on the enemy. Ulti: Mountain Shocker, Orders the naval fleet to launch three-wave attacks of fire arrows. Each wave of attack will deal 165/225/285 pts of physical damage. Knocks away nearby units when destroyed. Use it to jump into your next jungle camp, or to escape an enemy that’s chasing you. Chungmugong Yi Sun-shin was a famous general in an Asian kingdom. 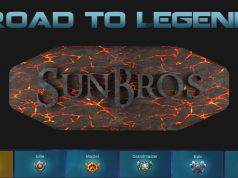 He was extremely loyal and of prowess. 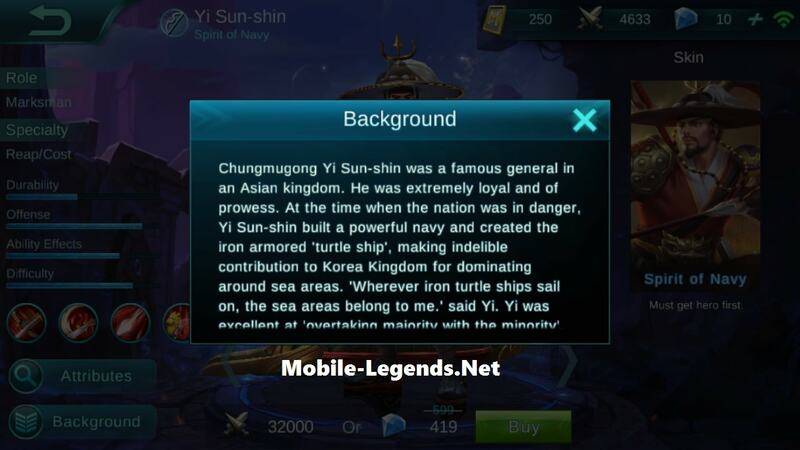 At the time when the nation was in danger, Yi Sun-shin built a powerful navy and created the iron armored ‘turtle ship’, making indelible contribution to Korea Kingdom for dominating around sea areas. ‘Wherever iron turtle ships sail on, the sea areas belong to me.’ said Yi. Yi was excellent at ‘overtaking majority with the minority’. Under the leadership of Him, Korean navy defeated over 330 enemy warships with only 12 ships, gaining the great triumph of Battle of Myeongnyang. To this day, the legend of this Asian general still lives on in the people’s hearts.